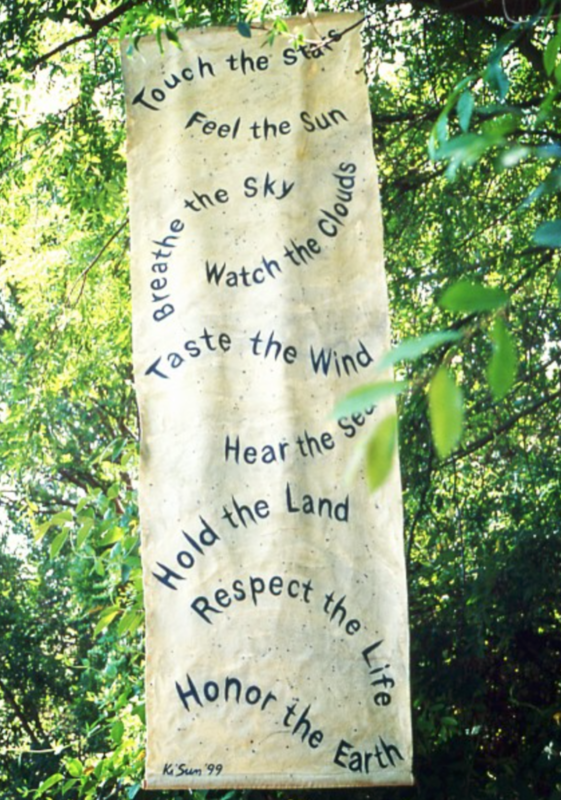 In 1999 a group of us were invited to make banners celebrating nature and the planet for the 30th anniversary of the El Dorado Nature Center in Long Beach, CA. This was my banner, with words to live by everyday. Happy Earth Day! Strata #16 and Strata #18 are included in Art Auction XV. Pleased to support the Long Beach Museum of Art. Preview exhibition and auction, April 18 – May 19, 2013.